With all due modesty, dontcha just love this photo? When I saw this vine displayed it confirmed something I’ve felt for nearly my whole life: that dormant vines are beautiful – they’re Mother Nature’s sculptures! And, as an educator I love the graphic depiction of how virtually all wine grapes, world-wide, are grown. 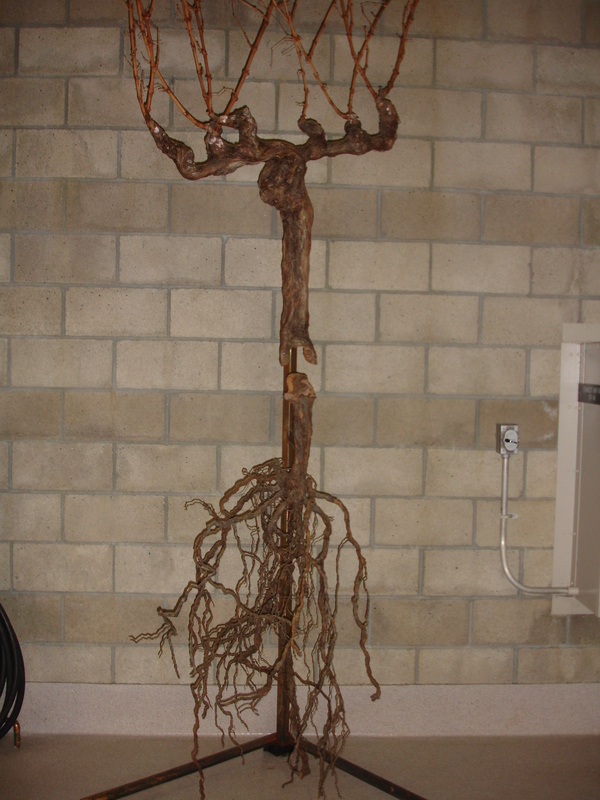 As of the 1860s, vitis vinifera (European grape varieties – wine varieties) have to be grafted to American rootstock in order to survive. Yes, even in Europe.